Create a simple, low budget mailer to promote Monarch's new ski season. leapt off the page and grabbed peoples attention. So, that's exactly what we did. that transported readers from the printed page to the best slopes in Europe. Olympic athlete Chemmy Alcott and book flights directly through the experience. Creative Lead - Concept, Art & UX. 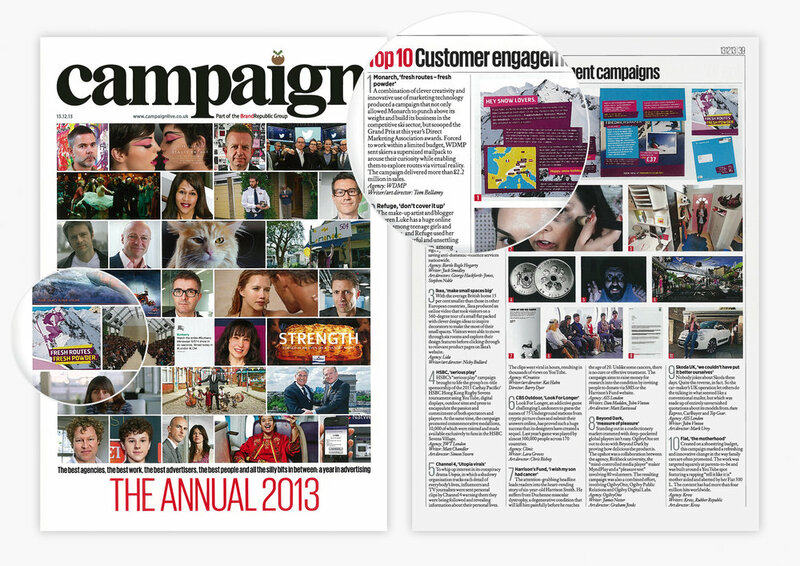 Exceed sales from last years award-winning direct campaign. Last year Monarch brought the mountain to readers via AR. So this time, I set out to bring readers to the mountain. 360° interactive, VR photosphere, that placed you on the side of a real mountain. weather, read up on resorts and book a holiday directly through the experience. But Monarch weren't finished here. even more people to the mountain. So, at the UK Ski Exhibition, I unveiled the UK's first interactive Oculus VR experience. attendees to ski down the slopes of Méribel, France. The Virtual Mountain a host of industry awards. book a trip, this became Monarchs best performing Direct campaign of all time.